Thailand has a mean annual temperature of 27 C and temperatures often climb over 37 C during the hottest months of the year. Many people prefer the northern part of the country because it’s a bit cooler, especially in the mountain villages. In Chiang Mai, temperatures can drop to as low as 13 C during the coolest part of the year. Drive to the summit of one of the taller mountains during this part of the year and you might even experience near freezing temperatures during the night. For a few weeks each year, Chiang Mai’s skies can become thick with smoke because of the annual ritual of farmers burning their fields. Generally, this occurs sometime during the months of February and March and the intensity and duration varies greatly from year to year. Average rainfall in Thailand is around 1625 millimetres a year but it varies considerably from one area to the next. 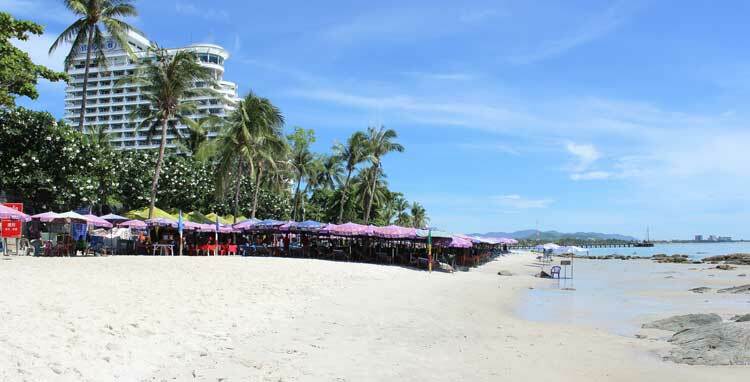 Hua Hin, a popular beach resort town in the south, has one of the lowest precipitation totals at 990 millimetres. Chiang Mai is not far behind with an annual rainfall of 1193 millimetres. However, if you choose Phuket as your destination, you can expect twice as much annual rainfall. Despite this large amount of wet weather, it doesn’t usually set in for days at a time. It’s more common to receive scattered downpours throughout the day followed by sunny intervals. Large thunderstorms are common and high winds can sometimes appear for short periods during the monsoon season.